TOUCH OF CREATION: Hello Sunshine!!! I'm here to share some rays of happy Sunshine in this freezing gloomy day!. On the top of it ,I didn't have internet connection whole day...as the provider was updating the system, hoping for a faster & better connection now !! This collection is absolutely gorgeous just like a spring garden!!! I made a spring home decor for my craft corner...as my craft place in the basement of my house, I don't get to see outdoors while crafting... this colorful decor piece is perfect to brighten up the place!! 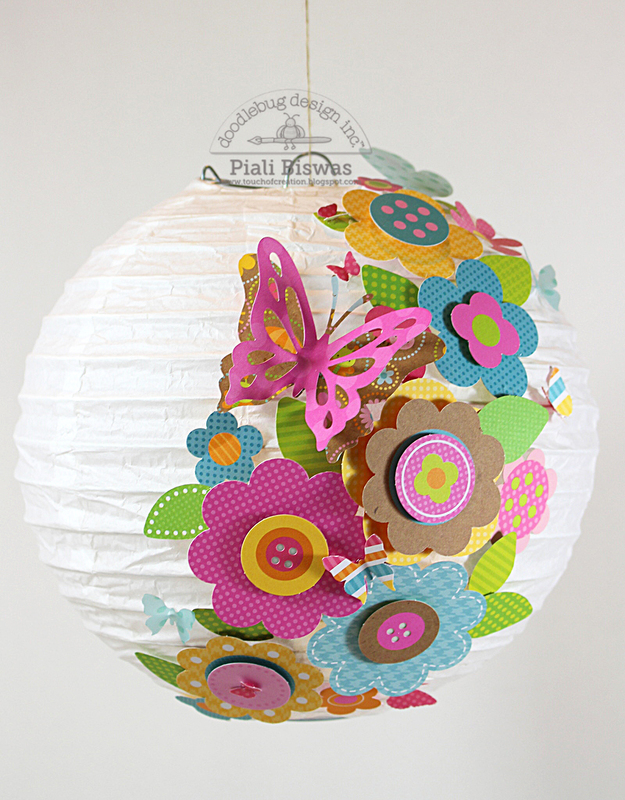 I used Hello Sunshine- Spring Flowers Craft Kit to decorate a white paper lantern. I also used some dies to cut out beautiful butterflies out of the 12 X 12 papers from the collection. Next project is a fun one .....a gardening basket for my little one. I made few seed packets holder using 12x12 double sided papers from Hello Sunshine collection. 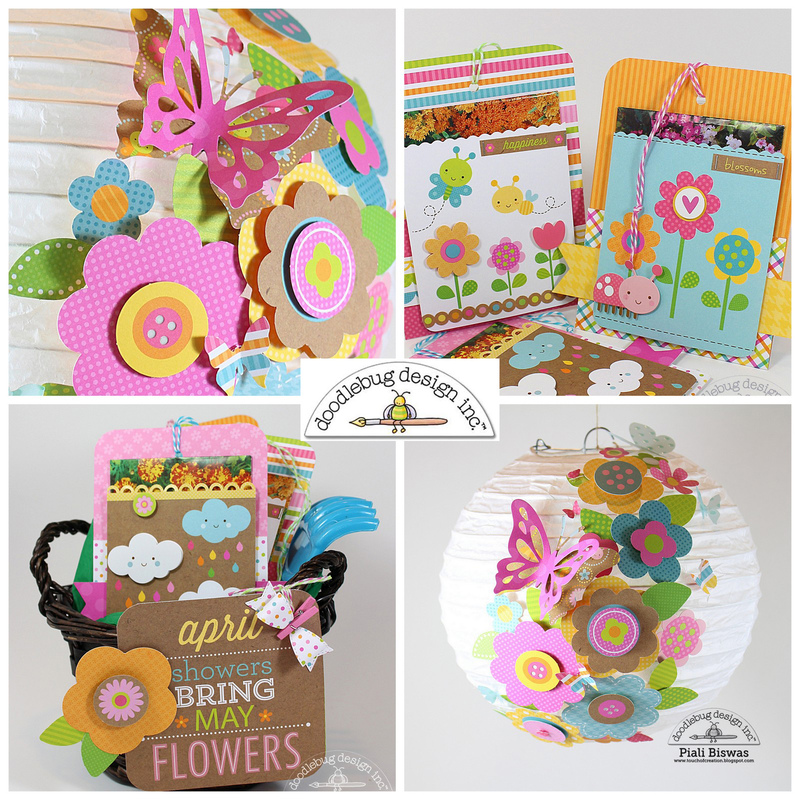 You can find the complete step-by-step instructions for the Seed packets over at Doodlebug Blog. These spring time projects are for the following challenges..
Simon Says Challenge: All Things Bright and Beautiful. All Crafts Challenge - Anything but a card. 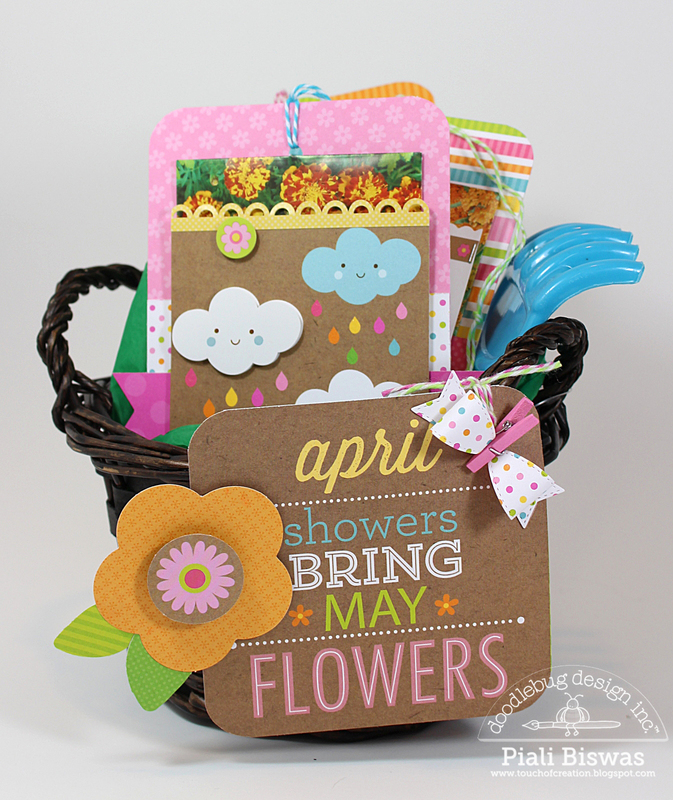 Hope you like these Springtime crafty ideas!!! these are so fun!! I had no idea you were in NJ :) I am too! 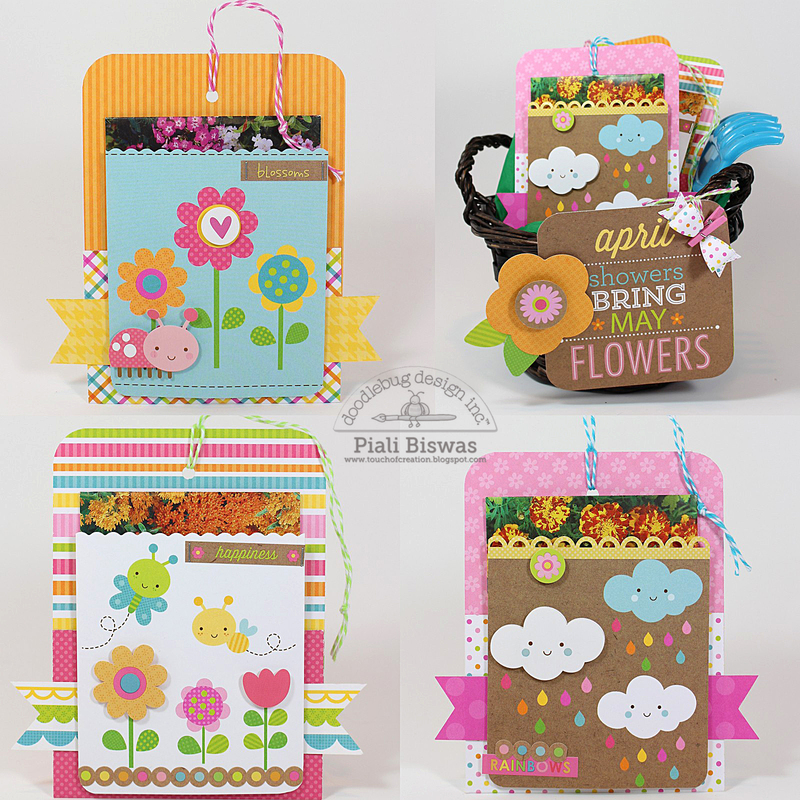 I adore Doodlebug products, and your projects using them are perfect for our "Bright & Beautiful" challenge, Piali Thanks so much for sharing these with us at the Simon Says Stamp Wednesday challenge! Doodlebug papers always make me happy. I love your projects Piali. Oh that lantern is genius. Sorry its so cold and nasty where you are. I adore Doodlebug papers, they are so fun and bright! your projects are so awesome, love the lantern. WOW, Piali! FABULOUS projects! Love, love, love! Wow, these are just fabulous. Perfect for all things bright and beautiful ! Piali, these are all sooooo SWEET! Wow, I love doodlebug and you've done such a great job with these projects. That paper lantern is the best! Top Dog Dies Spring Release Blog Hop!! !